Decatur Island is one of many smaller island in the San Juan archipelago. 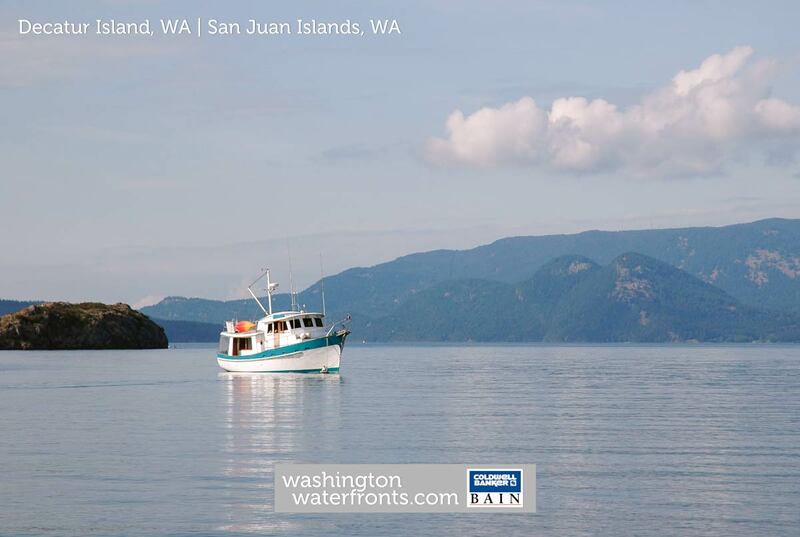 Situated east of Lopez Island and South of Blakely Island, Decatur Island waterfront real estate is relatively limited due to the size of the Island and the San Juan Islands preservation culture. Furthermore, the Washington State Ferry service does not service Decatur Island and the airport on Decatur Island is private, for residents of the Decatur Shores community only. All this said, similar to the remainder of the San Juan Islands, Decatur Island waterfront real estate offers some of the most beautiful properties with incredible vistas from the variety of rock outcroppings. As always, while you browse the Decatur Island waterfront real estate below, if you have any questions, please don't hesitate to click the "Request More Information" button when viewing the details of a property. As Decatur Island experts, we can provide you with disclosures, past sales history, plus our objective analysis of the listing price based on recently sold properties nearby! Take advantage of our industry-leading tools to make your property search as easy as it possible and be sure to register for a FREE account so that you can receive email alerts whenever new Decatur Island waterfront real estate for sale hits the market. If you're seeking to sell your Decatur Island waterfront property, contact our Waterfront Specialists directly for a comprehensive listing analysis and to learn more about the cutting-edge marketing strategies we'll use to sell your home quickly for top dollar!